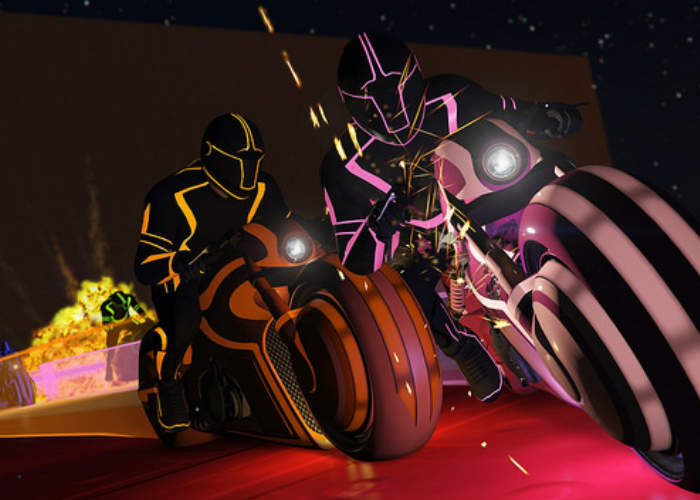 GTA Online players will be pleased to know that the new Deadline mode as well as the futuristic Nagasaki Shotaro motorbike is now available within the Grand Theft Auto Online game together with special GTA Online bonuses happening now through Monday, November 21st 2016. Watch the GTA Online Deadline mode trailer below to learn more about what you can expect from the new features and new vehicle which allows you to take out other riders using the light-rail in a Tron inspired street race. Light up the night with the blazingly fast Nagasaki Shotaro. Packed with enough energy to power the Los Santos grid and sporting the looks of an auto-show concept vehicle, the Shotaro delivers a driving experience that is out of this world. Deadline pits up to four players against another, each mounted on a different colored Shotaro, which emits a temporary light trail as you ride through the arena. Any competitor unfortunate enough to come in contact with said trail meets an instant explosion.